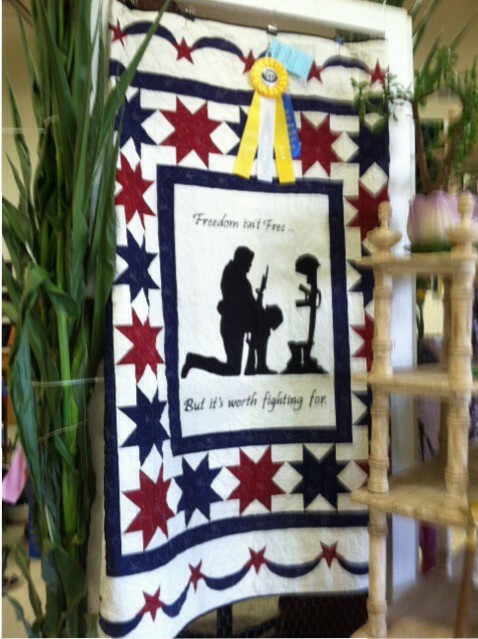 Guild member Buffy Harris took a Best of Show award at the Fauquier County Fair with the quilt shown below. Thanks to Audrey Graham for taking the photo. 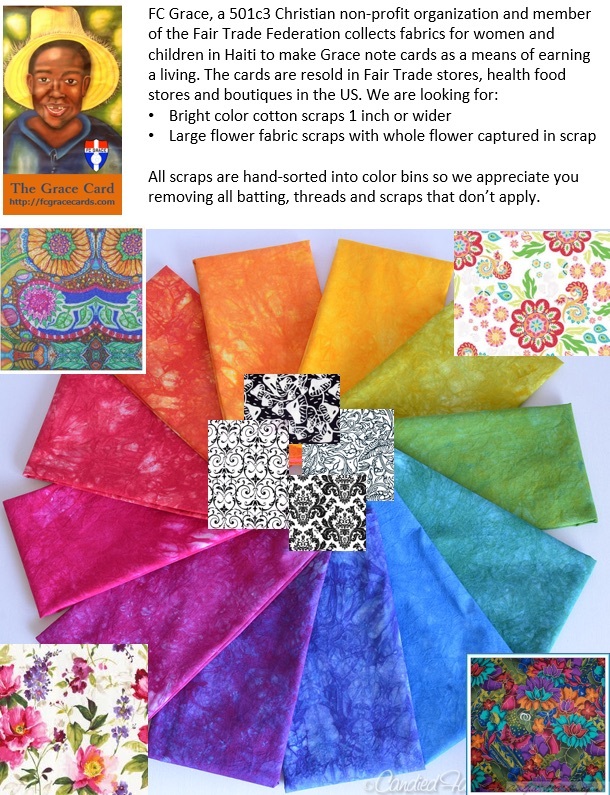 On Saturday, July 11 we held a sew-in to make quilts for a local women’s shelter. Here some photos of the event. We were asked to do a quilting demo at Sky Meadows State Park in conjunction with their Mother’s Day activities. They were serving tea in Bleak House, and we sat on the back porch looking out over the valley. Aside from being a bit chilly when the wind picked up, we spent a very pleasant afternoon doing hand work and chatting with park visitors. This past weekend we again participated in the Civil War Weekend at Sky Meadows State Park. The weekend is part of the park’s Fall Farm Festival and is designed to illustrate what life was like on Virginia farms during the Civil War. Once again we dealt with unsettled weather: last year snow on Saturday, this year the approach of Hurricane Sandy. Since we were set up in the old wash house with a fireplace, we were warm and cozy in spite of the weather. On Sunday afternoon Tim Seaman moved his hammer dulcimer into the wash house with us and played lovely concert for FCQ volunteers and park visitors. Occasional showers on Sunday caused us to keep quilts inside, but on Saturday we were able to display them outside. We hope you enjoy the slide show.